Want it by Thursday 25th April? Order within 16 hours, 55 minutes and choose Royal Mail Tracked 24 Hour at checkout. Styled on the classic Barbour Durham the Girls Stratus is a waterproof jacket perfect for the winter months. 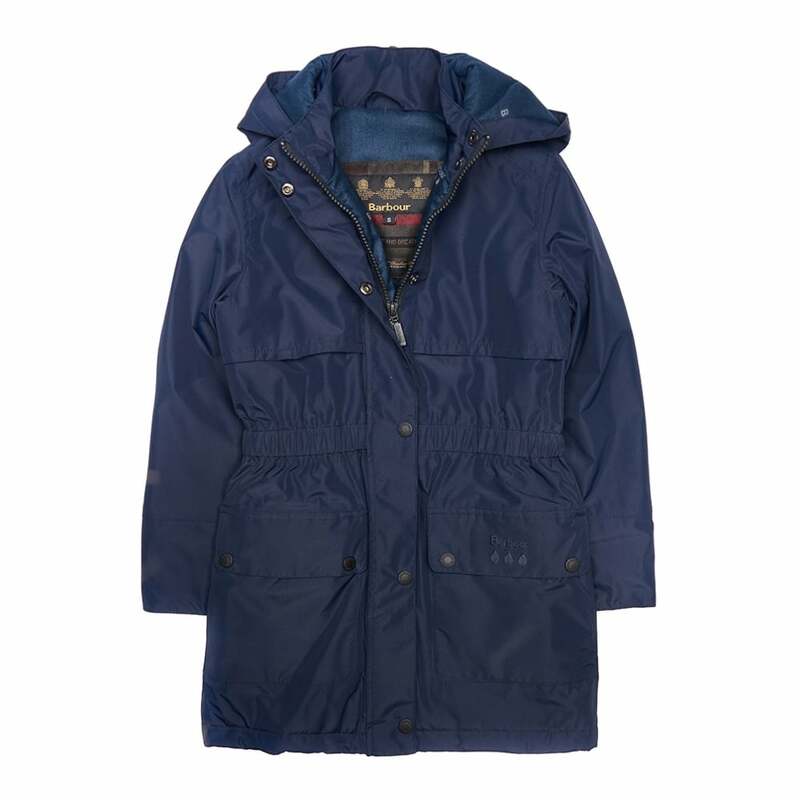 The draw-cord waist provides a great fit in this coat, whilst a detachable hood means its completely versatile. Stud patch pockets are perfect for keeping hands warm or valuables safe. Eye-catching metal poppers and subtle Barbour embroidery add the finishing touches to this fantastic jacket.